Not good enough. No second Camera, No flash light. Required apps also not available is store.......but Nokia try wella. I love my l630 alot.. 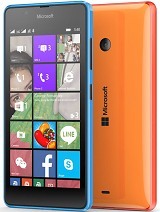 I had brought new lumia 630 and it had been three days . After three day when I power on my phone it didn't started.. It came blue with not happy emoticon. What shall I do now . I have been using this phone for 3 days, the battery is good, the camera is perfect. The only problem is that it is slow to browse. What should i do to get the best of or to enjoy this phone? I bought this phone 3 days ago, the battery is perfect, the camera is awesome, but the problem is that it is slow in terms of internet and i don't know the exact problem. What should i do to get the best of this phone? I have been using Android system ever since it first rolled out its Cupcake version (though there was an earlier version, 1.0 i think exclusive for HTC) and believe me, I know Android better than most. When I was still on Android, I was confused why Nokia was taking so long to adopt the Android platform. it confused me more when they went the Windows way. I really could not understand why. microsoft simply employed its technological know-how from decades of unparalleled experience in computing systems and put them in a handset. on paper, 512mb is mediocre. at the very least, it should have been 1 gb. but lo and behold. i was dumbfounded with the superb computing power of this entry-level phone. the interface is also quite simple but very functional. i use this to seamlessly synchronize all of my ms office files, my xbox titles, as well as my outlook. i am not a fan of customizations. as long as i can use my phone the way i envision it to be, that is already enough for me. as for the camera, i don't mind a 5-mp fixture. i also am not bothered by d fact that there is no front-facing camera. maybe u have not noticed but there is actually a selfie mode on the cam app. pressing on it with its back turned on you will elicit a beeping sound. ur cue is on the sound whether there is already focus or not. i am only on my second week of using this phone and i am already in love with it. oh, my only lament is the battery could have been at least 2500 mAh. 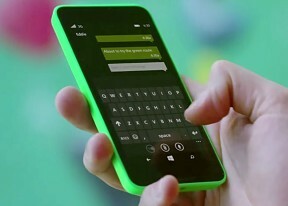 When Lumia 630 dual sim available windows 10. 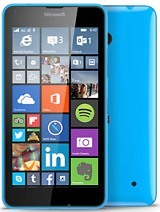 I hv been using Lumia 630 dual soon for one year. It is just a nice phone having good battery backup nice screen resolution comfortable grip. It's 512mb ram is better than 1gb. The draw back is no front camera. Otherwise it is a nice phone. 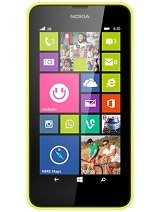 I can get this phone for $95, buy 1 free 1, should I get it on impulse ? Not good at all. No second Camera, No flash light. Required apps also not available is store.